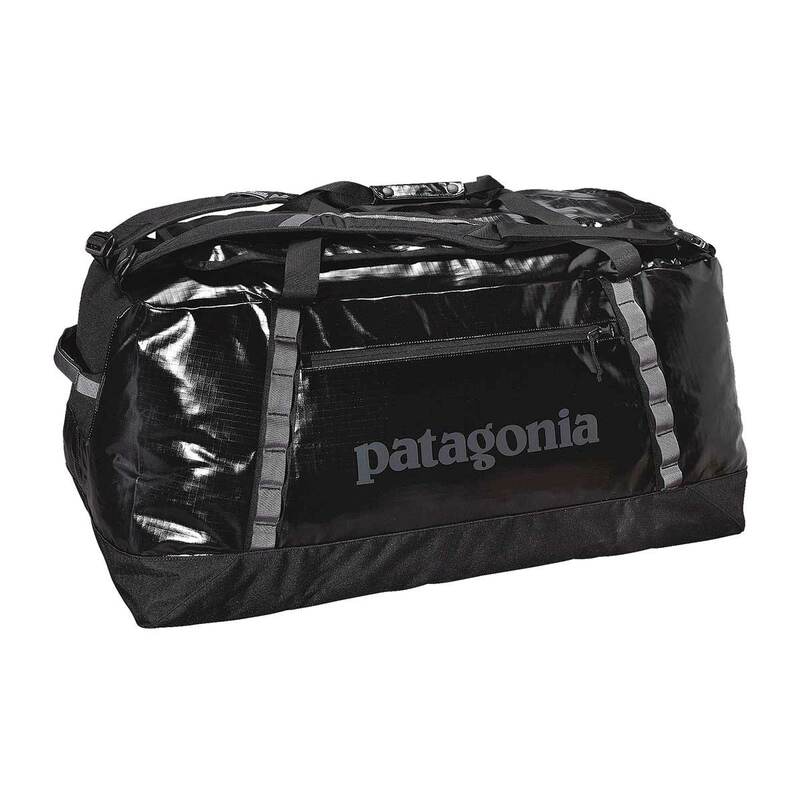 The Patagonia Black Hole Duffel 120L bag provides bombproof protection and sensible packing options for all your gear, and can take whatever abuse gets thrown at it. Perfect for long trips in the van or stashing your gear on climbing trips, the Patagonia Black Hole Duffel 120L makes travelling a breeze and will last you a lifetime. Made from burly Bluesign approved ripstop polyester with a waterproof TPU coating, it can take a beating from bad weather conditions, while the chunky outer daisy chains provide even more external storage options. Internally, the Black Hole Duffel 120L has two mesh pockets in the lid for storing easy access essentials and internal luggage compression straps to you can fit even more stuff in there. An external zip pocket, removable padded shoulder strap and removable backpack straps complete the ensemble, while the best bit is that the bag has its own stuff sack it can be packed into so you can compact it and pack it away when you don’t need it, genius!